Just started a business and need packaging for your product? Looking to brush up on your knowledge about packaging? We’re here to help. As a corrugated packaging manufacturer, we’ve been around the block a few times, and we’ve heard a number of questions about packaging. Here’s an overview of everything you need to know about corrugated boxes and which type is right for you. First, let’s start high level. 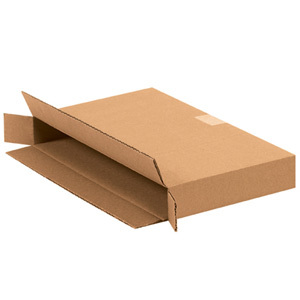 While you might think of your packaging as just a cardboard box, cardboard and corrugated board are not the same thing. Cardboard is heavy-duty paper stock, and it’s actually not used for strong shipping containers. A good example of a cardboard box is a cereal box. Corrugated board, on the other hand, is a much stronger board that has two main components: the liner and the medium. The liner is the flat material typically found on the outside surfaces of the board (but can also be found on the inside of some heavier board combinations), and the medium, which can be found between the liners. The medium creates the arched shape or “flutes” between the liners and is a large contributor in the strength of the board. Once these sheets of paper are glued together they create a corrugated board which is then converted into a structure that can sustain long shipping journeys, bumps, and falls. (A lot of things your cereal box would not survive.) When you go to order your packaging it’s important to know the difference, because chances are you don’t want to ship your products in a cardboard box. Now that you know you probably need a corrugated box, you’ll need to figure out what type of box you’ll need. There’s a number of different factors that go into making your corrugated box, and it’s one of the reasons why they’re so customizable. Whether you need a lighter box to help cut down on shipping costs, or a carton made out of a thicker board grade to provide additional protection, there’s a style of box that’s right for every product. First you’ll want to look at flute profiles. The most common flutes used today are A, B, C, E, and F with A being the largest. Your flute size determines the thickness of the walls of your corrugated box as well as the stacking strength. “A” flute was the original corrugated flute and is the thickest flute profile you can use. An A flute is roughly 5mm thick, and is an excellent option for products that need a little more cushioning or need to have extra strength for stacking. B flute was the next profile to be developed and was originally created for self-supporting products, such as canned goods, that did not require the box to support much of the load. B flute is roughly 3.2mm thick and is a very popular choice for die-cut designs. C flute approximately 4mm thick and the most commonly used all-purpose flute available today. Although C flute was created after B flute, it is a slightly thicker board with 38 flutes per foot compared to the 47 per foot in B flute. The most recent flute profiles to be developed are E and F at 1.6mm and 0.8mm respectively. These profiles are often times used for retail packaging due to their printability that provides superior image clarity. Single-Face: One sheet of liner is adhered to one sheet of corrugated medium. This style of board is typically sold in rolls and can be used to wrap around products for protection or cushioning. Single-Wall: One sheet of corrugated medium is glued between two sheets of liner. Single-wall board is the most common type of board in the market and can be used for everything from shipping boxes to retail displays. Double-Wall: Two sheets of corrugated medium are glued between three sheets of liner. This board is commonly used for heavier products, or products that require a stronger box for shipping. Triple-Wall: Three sheets of corrugated medium are glued between four sheets of liner. This board is the strongest out of all the board styles and is often used for industrial parts or produce bins. 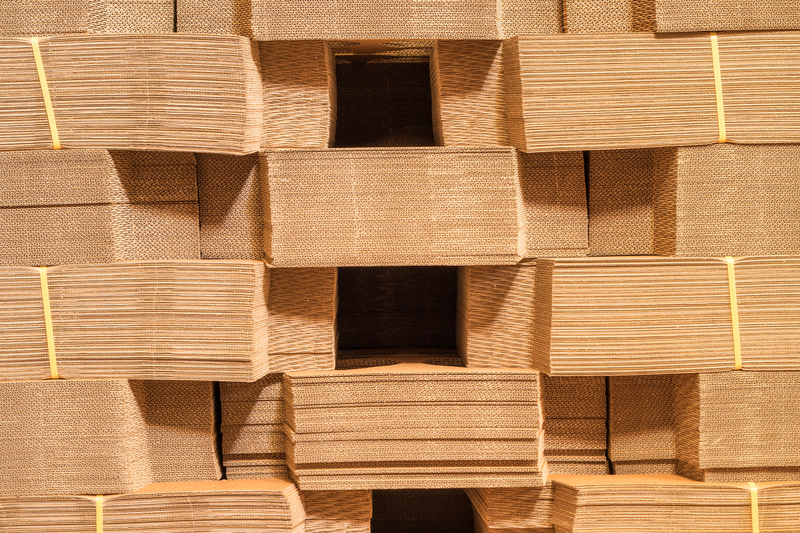 Once you know what fluting and board type you want for your box, you need to determine the proper board grade. In order to do so you’ll want to ask yourself – Is it more important that my box be able to withstand top-to-bottom stacking pressure without collapsing? Or have increased puncture resistance from internal and/or external factors? Corrugated board is categorized as either Mullen or ECT. Although there are situations where either could be used successfully, the two have different applications. First there’s the Edge Crush Test (ECT). 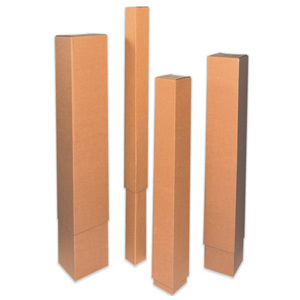 ECT measures how much stacking strength or pressure a box can withstand before being crushed. As mentioned previously, the flute profile plays a large role in the stacking strength of your board. ECT values range from 23ECT single-wall to 120ECT triple-wall. The higher the number the greater the compression strength. ECT board is favorable when boxes will be stacked on top of one another whether on a pallet or warehouse shelf. The other option for corrugated board is Mullen. Mullen value is determined by the amount of pressure a box can withstand before bursting or being punctured. The weight of the board’s liner constitutes the bulk of the bursting strength. Mullen values are given as a three digit number, such as 200#, and the higher the value the stronger the board. 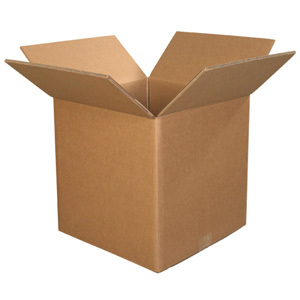 This is the most common style of box, and typically what you picture in your head when you think of a package. For this box, all flaps are the same length, and the two outer length flaps are one-half the container’s width, so that they meet at the center of the box when closed. This style of box is the same as an RSC except both sets of outer flaps fully overlap one another to cover the full width of the container. Wider flaps and extra thickness on the top and bottom of this box make it a better option for products in need of more protection. This is a box just like it sounds, one piece of board that is creased and slotted so it can be folded into a box with a flat, unbroken bottom. 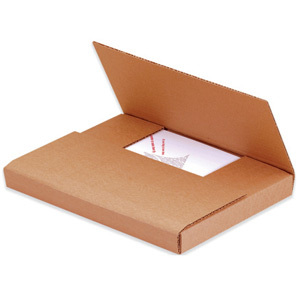 This box is a good option for books and printed materials. FTD cartons consist of a separate top and bottom that fit over each other with flaps joining on the side or end panels. When pulled apart, they create two scored and slotted trays, both with flat bottoms. The full-depth cover slides completely over the body of the carton providing additional strength around the sides making this style suitable for high stacking strength of fragile articles. 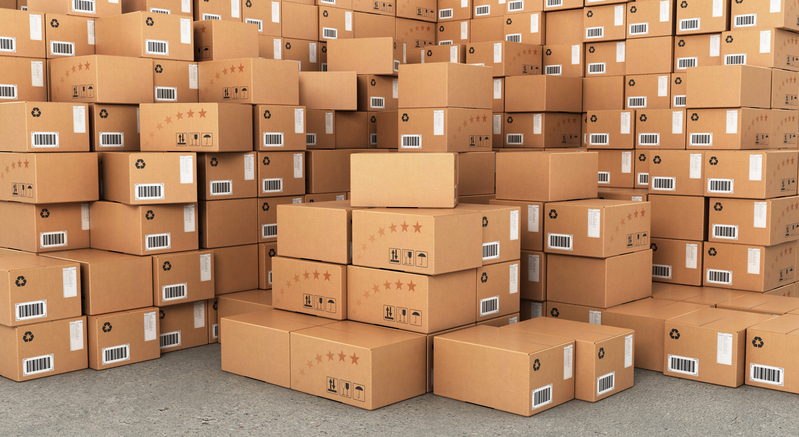 Once you learn the basics of corrugated boxes, there’s a lot you can do to provide the best packaging for your products. It’s important to recognize that there are so many options available, because it’s easy to have a package that’s actually the wrong style for your product. 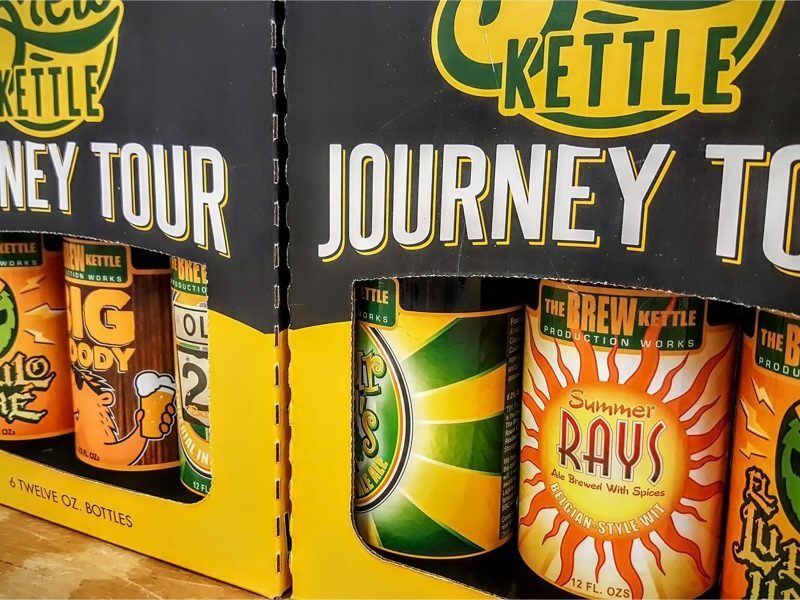 Talking with a packaging designer can make it easier to determine what’s best for your needs and the challenges you’re facing.